Schrade Shizzle Assisted Opening Black Pocket Knife | BUDK.com - Knives & Swords At The Lowest Prices! 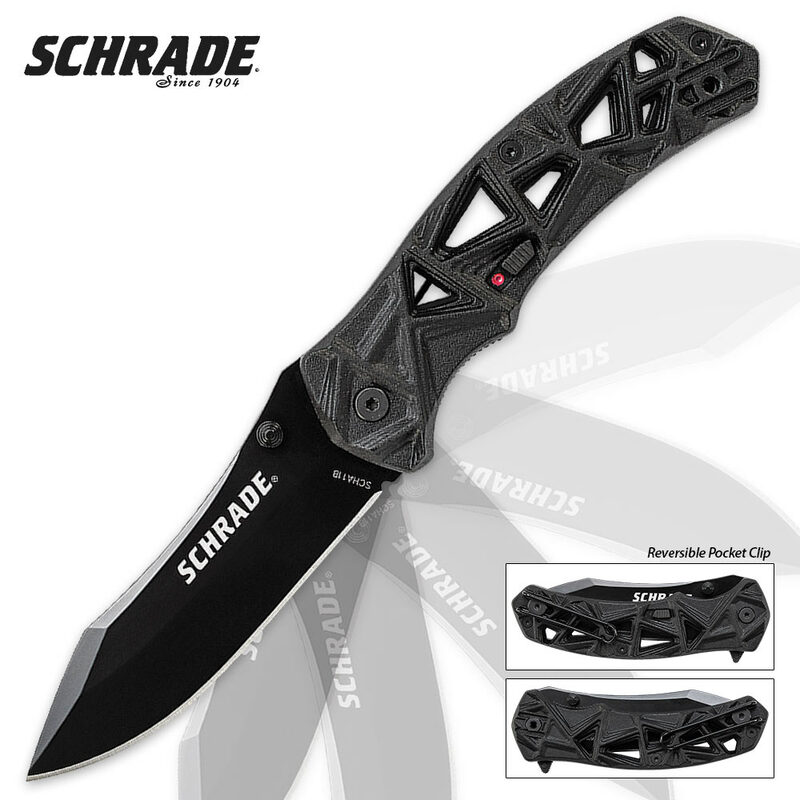 You come to expect the utmost quality with Schrade knives and the Schrade Shizzle Assisted Opening Folding Pocket Knife definitely fits the bill. It has a black AUS-8 high carbon stainless steel drop point blade with ambidextrous thumb knobs. 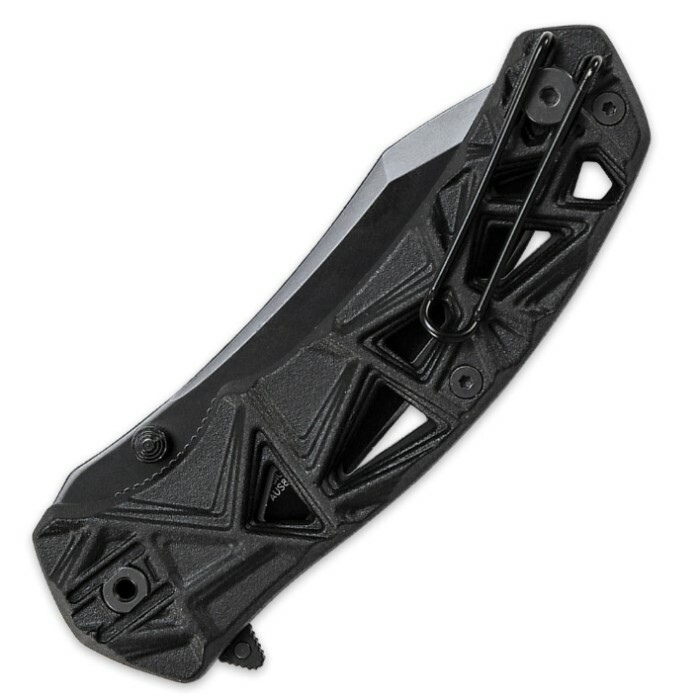 The skeleton handle is constructed of black aluminum and has a safety lock. For your convenience, it also has a lanyard-hole and reversible tip up/down and left/right pocket clip.